Paleoclimatology, glacier variations in the Holocene, tree-ring analysis, dating of moraines, natural hazards in the mountains. Study areas: Caucasus, Tien Shan, Altay, Crimea, Urals, Far East, Arctic and Antarctica, Russian Plain. Solomina, O.N., Ivanov, M.N and Bradwell, T. 2010. Lichenometric studies on moraines in the Polar Urals. Geogr. Ann., 92 A (1): 81–99. Klimenko V. and Solomina O. 2010. Climatic Variations in the East European Plain during the Last Millennium: State of the ArtR. Przybylak et al. (eds.). The Polish Climate in the European Context: An Historical Overview, DOI 10.1007/978-90-481-3167-9_3,© Springer Science + Business Media, B.V. 71-101. Solomina, O., I. Pavlova, A. Curtis, G. Jacoby, V. Ponomareva, and M. Pevzner 2008 Constraining recent Shiveluch volcano eruptions (Kamchatka, Russia) by means of dendrochronology. Natural Hazards and Earth System Sciences. Special Issue: Tree-ring reconstructions in natural hazards research, v. 8., p.1-15. Solomina, O., Wiles, G., Shiraiwa,T., and D’Arrigo, R. 2007 Multiproxy records of climate variability for Kamchatka for the past 400 years Climate of the Past 3(www.clim-past.net/3/119/2007/): 119-128. Solomina, O., Haeberli, W., Kull, C., Wiles, G. 2007 Historical and Holocene glacier–climate variations: General concepts and overview Glob.Planet.Change doi:10.1016/j.gloplacha.2007.02.001. Solomina, O., 1999. Mountain glaciers in the Holocene. Moscow. Nauchny Mir, 264. 2012 Solomina O., Dolgova, E., Maximova, O. Tree-ring based hydrometeorological reconstructions in Crimea, Caucasus and Tien-Shan. «Nestor-History», M-SPB, 232 pp. (in Russian with extended resume). 1999 Solomina, O.N.Mountain glaciation of Northern Eurasia in Holocene. Moscow, Nauchny Mir. 264 pp. (in Russian). 1989 Serebryanny, L.R., Orlov, A.V., Solomina, O.N. at al. Moraines as a source of glaciological information. Moscow, Nauka. 239 pp. (inRussian). 2015 Wiles, G.C., O. Solomina, R.D. D’Arrigo, K.J. Anchukaitis, Y. V. Gensiarovsky, N. Wiesenberg Reconstructed summer temperatures over the last 400 years based on Larch ring widths: Sakhalin Island, Russian Far East, Climate Dynamics, 45(1-2), 397–405, doi: 10.1007/s00382-014-2209-2, 2015. 2014 Barr I.D., Solomina O. Holocene glacier fluctuations upon the KamchatkaPeninsula. Global and Planetary Change, v. 13, p.110–120 DOI: 10.1016/j.gloplacha.2013.08.005. 2014 Solomina, O.N., Kalugin, I.A., Darin, A.V., Chepurnaya, A.A., Alexandrin, M.Y., Kuderina, T.M. The implementation of geochemical and palynological analyses of the sediment core of Karakyol for reconstructions of climatic changes in the valley of Teberda river (Northern Caucasus) during the Late Holocene: possibilities and limitations. Voprosy Geographii, v 137, p. 234-266. 2013 Solomina, O.N., VolodichevaN.A., VolodichevaN.N., KuderinaT.M. DynamicsofnivalandglacialslopeprocessesintheBaksanandTeberdavalleyaccordingtotheradiocarbondatingofburiedsoilsIceandSnow, 2013, № 2 (122), p. 118-126. 2013 Solomina, O.N., Kalugin, I.A., Alexandrin, M.Yu., Bushueva, I.S., Darin, A.V., DolgovaE.A., Jomelli, V., IvanovM.N., MatskovskyV.V., OvchinnikovD.V., PavlovaI.O., RazumovskyL.V., ChepurnayaA.A. DrillingofsedimentsofKarakellake (Teberdavalley) andperspectivesoftheHolocenereconstructionofglacierandclimatehistoryinCaucasus. IceandSnow, 2013, n 2 (122) p. 102-111. 2013 DolgovaЕ.А., MatskovskyV.V., SolominaО.N., RototaevaО.V., NosenkoG.А., KhmelevskoyI.F. MassbalancereconstructionofGarabashiglacier (1800-2005) bytree-ringdataIceandSnow.n 1 (121). p. 34-42. 2013 PAGES 2kConsortium. Moinuddin Ahmed, Kevin J. Anchukaitis, Asfawossen Asrat, Hemant P. Borgaonkar, Martina Braida, Brendan M. Buckley, Ulf Büntgen, Brian M. Chase, Duncan A. Christie, Edward R. Cook, Mark A. J. Curran, Henry F. Diaz, Jan Esper, Ze-Xin Fan, Narayan P. Gaire, Quansheng Ge, Joëlle Gergis, J Fidel González-Rouco, Hugues Goosse, Stefan W. Grab, Nicholas Graham, Rochelle Graham, Martin Grosjean, Sami T. Hanhijärvi, Darrell S. Kaufman, Thorsten Kiefer, Katsuhiko Kimura, Atte A. Korhola, Paul J. Krusic, Antonio Lara, Anne-Marie Lézine, Fredrik C. Ljungqvist, Andrew M. Lorrey, Jürg Luterbacher, Valérie Masson-Delmotte, Danny McCarroll, Joseph R. McConnell, Nicholas P. McKay, Mariano S. Morales, Andrew D. Moy, Robert Mulvaney, Ignacio A. Mundo, Takeshi Nakatsuka, David J. Nash, Raphael Neukom, Sharon E. Nicholson, Hans Oerter, Jonathan G. Palmer, Steven J. Phipps, Maria R. Prieto, Andres Rivera, Masaki Sano, Mirko Severi, Timothy M. Shanahan, Xuemei Shao, Feng Shi, Michael Sigl, Jason E. Smerdon, Olga N. Solomina, Eric J. Steig, Barbara Stenni, Meloth Thamban, Valerie Trouet, Chris S.M. Turney, Mohammed Umer, Tas van Ommen, Dirk Verschuren, Andre E. Viau, Ricardo Villalba, Bo M. Vinther, Lucien von Gunten, Sebastian Wagner, Eugene R. Wahl, Heinz Wanner, Johannes P. Werner, James W.C. White, Koh Yasue, Eduardo Zorita Continental-scale temperature variability during the last two millennia. Nature Geoscience, Published online 21April 2013 DOI: 10.1038/NGEO1797. 2012 CasadoM., OrtegaP., Masson-DelmotteV., RisiC., SwingedouwD., DauxV., GentyD., MaignanF., SolominaO., VintherB., ViovyN., andYiouP. Impact of precipitation intermittency on NAO-temperature signals in proxy records. Climate in the past. No. : cp-2012-145.Clim. Past, 9, 871–886, 2013 www.clim-past.net/9/871/2013/ doi:10.5194/cp-9-871-2013, p. 871–886. 2012 BushuevaI.S., SolominaO.N. Fluctuations of Kashkatash glacier in XVII–XXI by carthographic, dendrochronological and lichenonemtric data. IceandSnow № 2 (118) p. 121-130. 2012 SolominaO.N., BushuevaI.S., KuderinaT.M., MatskovskyV.V., KudikovA.V. TheHolocenehistoryoftheUllukamglacier. IceandSnow, № 1 (117) p. 85-94. 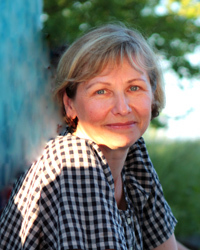 2012 NazarovA. N., SolominaO. N., MyglanV. S. Variations of the Tree Line and Glaciers in the Central and Eastern Altai Regions in the Holocene 2012, том 444, Doklady Earth Sciences, 2012, Vol. 444, Part 2, pp. 787–790. 2011 MatskovskyV.V., SolominaO.N. ClimaticsignalintheringwidthofconifertreesintheNorthandcentralpartoftheEuropeanRussia. Problems of ecological monitoring and evolution of geosystems. v. 24, p. 256-270. 2011 BrugnoliE., SolominaO., SpaccinoL., DologvaE. ClimateSignalintheRingWidth, DensityandCarbonStableIsotopesinPine (Pinus silvestris L.) in Central Caucasus. Geography, Environment, Sustainability, N 4, p. 4-16. 2010 Dolgova E., Solomina O. The first quantitative reconstruction of warm period temperature in Caucasus according to the tree-ring data. Doklady of RussianAcademy of Sciences. 431, n 2, p. 119-123 (in Russian). 2007 Solomina, O.N., Abilmeizova B., Griaznova,V.V., Yershova, I.V.. Tree-rings drought index reconstruction in Near Issyk-Kul area, Tien Shan, KyrgyzRepublic for AD 1680-2005. - Problems of ecological monitoring and ecosystem modeling vol. 21, pp. 183-202. (in Russian). 2007 Dolgova E., Solomina, O., Jomelli,V, Yurina Yu., OleinikovA., VolodichevaN. Tree-ringdatingofmorainesofBolshoyAzau, SchkeldaandTerskolglaciers, BolshoyAzauvalley. Newmethodsindendroecology. Irkutsk, Institute of geography SO RAS, 87-89. 2006 Solomina O., Schweingruber F., Nagornov O., Kuzmichenok, V.,. YurinaYu., MikhalenkoV., KunakhovichM., andKutuzov, S. Reconstruction of summer temperature and ablation of glaciers in Central Tien Shan for the period of AD 1626-1995 using maximum ring density of spruce (Picea Schrenkiana) Data of Glacialogical Studies, vol. 100, p. 104-113. (in Russian). 2004 Jacoby, G., Solomina,O., Frank, D., Eremenko, N., D’Arrigo, R. Kunashir (Kuriles) Oak 400-year reconstruction of temperature and relation to the Pacific Decadal Oscillation. Palaeogeography, Palaeoclimatology, Palaeoecology,v. 209, p. 303-311. 1994 Solomina, O.N., Savoskul O.S. & Cherkinsky A.E. Glacier variations, mudflow activity and landscape development in the AksayValley (Tien Shan) during the late Holocene. The Holocene, v.4 (1), p. 25-31.